Our Certified Spider Exterminators will ensure you have A Spider Free Home. Our Spider Control Technicians will identify the source of the Spider Infestation, create a Spider Pest Control solution to eliminate your House Spiders. Let Us be your Spider Extermination Company that you rely on, Call Today. 1-844-305-8999. 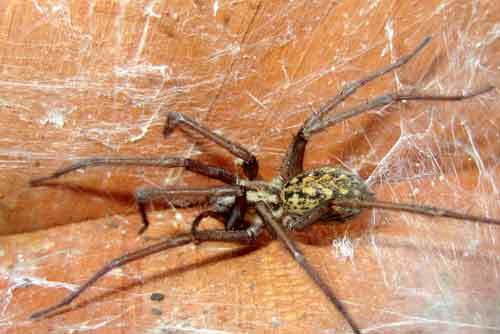 House Spiders are generally good to have around, as they help minimize the population of harmful insects. The problem arises, however, when they negatively affect humans. The mere sight of a spider can be a real scare for some people. 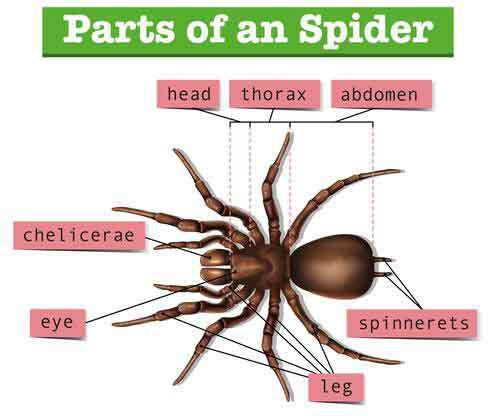 Aside from that, many spiders do bite humans and are poisonous, so it is a good idea to have a spider pest control company address your spider infestation. 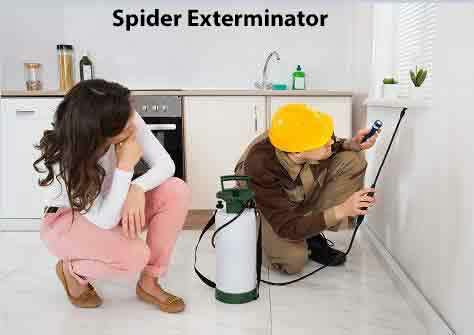 Dependable Exterminating's Spider Pest Control Technicians are experts at Spider Extermination Around Homes & Buildings. We Remove all Spider Infestations. The Black Widow Spider (RIGHT) can be easily recognized because she is black with a red hourglass on the underside of her abdomen. The male is considerably smaller than the female, and he has a body up to half an inch long. 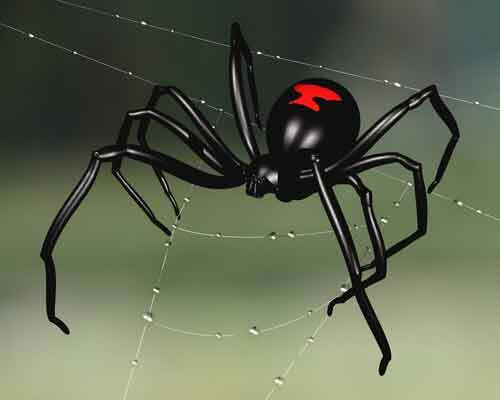 The Black Widow typically remains outdoors. The Brown Recluse Spider has a darker brown hourglass on its back. The Brown Recluse loves to be indoors and generally stays out of sight. It may never be seen until you startle it by reaching into a dark spot where it is hiding. Then it will bite. Its bite can cause sores that are slow to heal. They vary in size, with a body length around 3/8 inch, and leg spread about an inch. The Hobo Spider is a member of the genus of spiders known colloquially as funnel web spiders, but not to be confused with the Australian funnel-web spider. The medical significance of its bite is still poorly understood and debated. Individuals construct a funnel-shaped structure of silk sheeting and lie in wait at the small end of the funnel for prey insects to blunder onto their webs. Hobo spiders sometimes build their webs in or around human habitations. Call Dependable Exterminating today. 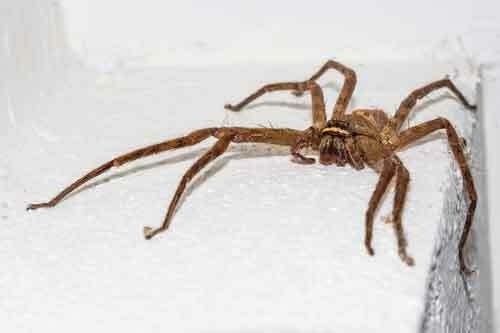 We specialize in eliminating all types of spiders. 1-844-305-8999.